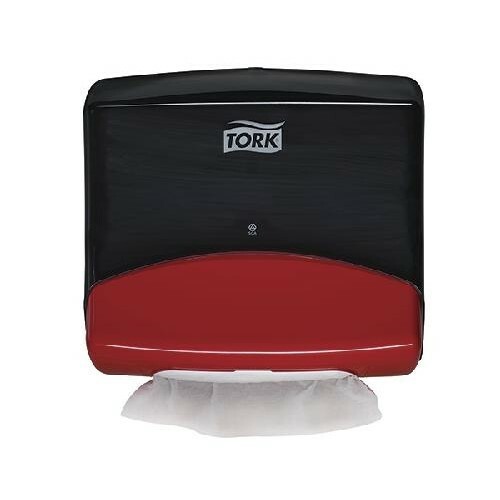 Tork Performance is a new generation of dispensers born to perform. All dispensers are optimised for Tork wipers and when combined they become the perfect performance tools. They present a professional image that your customers and staff will appreciate as well as supporting the user in the task at hand. Whether it is greater productivity, increased quality, improved hygiene, better ergonomics, cost in use or uncompromising safety you are looking for, this range will deliver wherever you are. Dispenser for folded wipers (W4 System) is easy to wall mount and detach. Provides hygienic protection. One-at-a-time dispensing for controlled consumption. Perfect for hygiene sensitive areas, food preparation and all industrial environments. Replaces 654028A. Also Available in Aqua/White 654021.